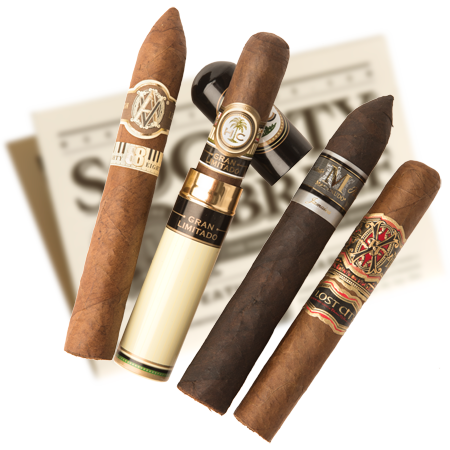 Here at The Premium Cigar of the Month Club™, it all comes down to quality, variety, and value. We know we're not the only international cigar club that you have to choose from, so we'd like to make our case as to how we've withstood the test of time and have differentiated ourselves from the pack with The Original Premium Cigar of the Month Club™ and The Rare Cigar Club™. Our quality-driven selection process is at the heart of our ability to consistently deliver outstanding hand-rolled, limited-production boutique and super premium cigars at exceptional values. Our 9-member panel of professional tobacconists smoke over 200 cigars a week, rating each for appearance, construction, smoke volume, aroma, and flavor profile, ensuring that each featured cigar has a good draw and even burn. The vast majority of what's rated never makes it past our ashtrays as many are harsh, bitter, poorly constructed, and improperly aged. In short, we smoke a lot of cigars so you don't have to! We invite you to take a few minutes to compare us to other cigar subscription boxes, including Amazing Clubs, Clubs of America, Cigars International, Cigar.com, and Thompson. We'd be honored to earn your trust and business and appreciate you taking the time to learn more about why we feel we're different than the rest. * Amazing Clubs charges more per shipment when you opt to pay monthly. We do not. ** Each year, we ship 4+ cigars crafted just for our members, like our 20 yr. Anniversary Mini Salomon created by legendary cigar master A.J. Fernandez. *** BBB accredited businesses agree to abide by the BBB code of advertising, supplying upon request, substantiation for advertising and selling claims. 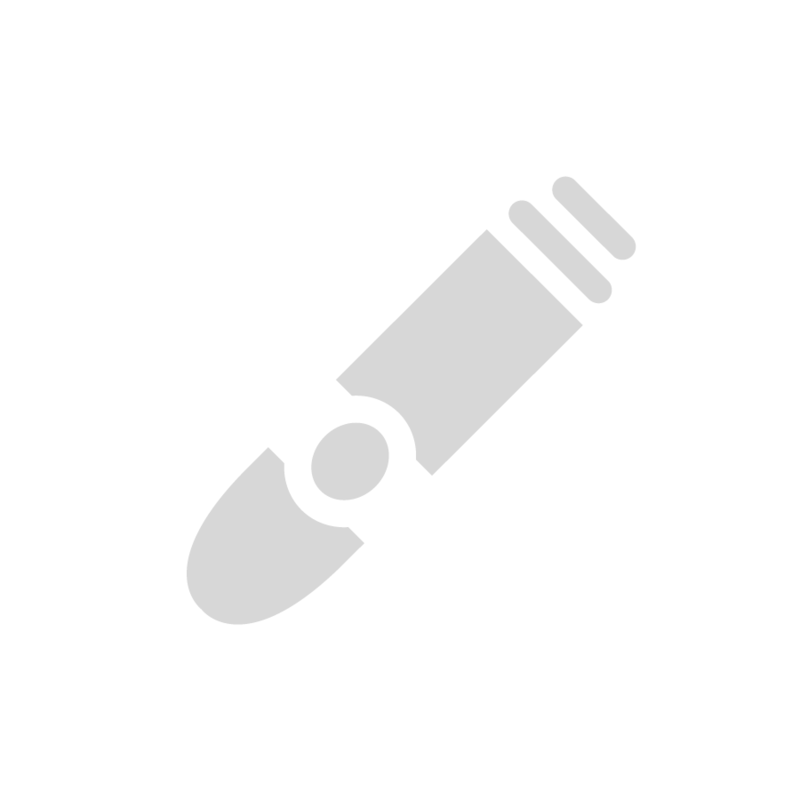 No other online cigar club shares detailed reviews and cigar profiles for every cigar they've ever shipped. We do. We're proud of our past featured cigars and always post our current featured cigars on the first of each month so members know what's coming. Each shipment is hand-packed with a portable humidification device which maintains optimal humidity while your cigars are in transit, ensuring that you'll enjoy each smoke as its manufacturers intended you to. No other cigar club allows you to pay for gift memberships monthly as they are shipped. 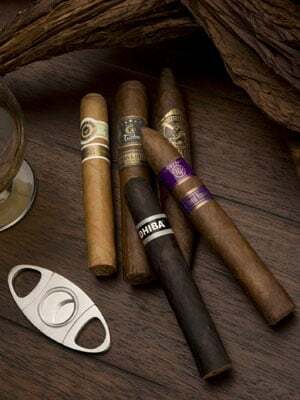 Our Design Your Own Club® program allows you to easily combine any or all of our cigar, beer, wine, cheese, flower, and chocolate of the month clubs into a single customized gift or personal membership. You can even choose to ship or skip any product in any month! Many combine one of our four monthly beer club offerings with a cigar club membership and ship each in alternating months. Check out our Design Your Own Club® program for yourself. It's a pretty fun gift to give, and even more fun to create a DYOC membership for yourself! Every membership purchased from The Premium Cigar of the Month Club is covered by our 100% satisfaction guarantee. This means that if your purchase doesn't stand up to your high standards, you can return everything for a replacement or a full refund. We invite you to compare a few of our other subscription boxes to the competition. Thank you for visiting us here at The Premium Cigar of the Month Club and comparing us to the other clubs on the market. I hope we've earned your trust and your business.